Team Secret took home the Chongqing Major championship Sunday in a 3-1 victory over Virtus.pro. 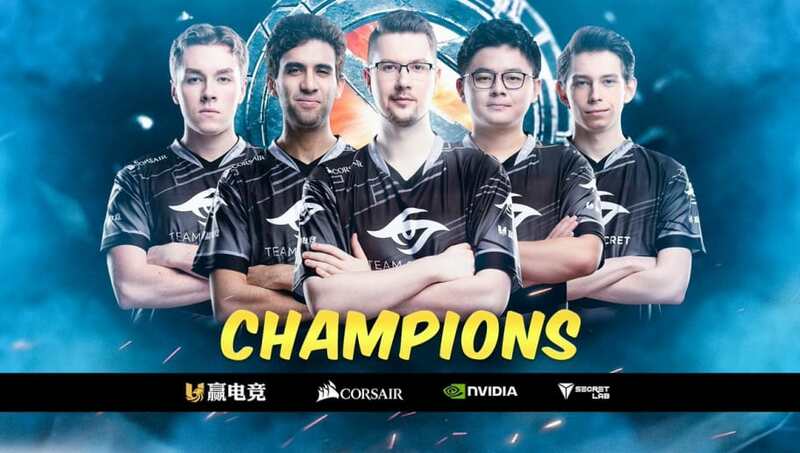 Team Secret earned its place at the Chongqing Dota 2 Major, the second of the competitive season, through the Europe qualifier. Once at the event, the team faced a group featuring PSG.LGD, Thunder Predator and Forward Gaming. Team Secret lost only its match against PSG.LGD, managing to enter the main event bracket still on the winner's side. Once in the bracket, Team Secret sent Team Liquid and EHOME to the losers bracket before falling there itself after a close 2-1 loss to Virtus.pro. Team Secret battled back to the grand final with a 2-0 win over Evil Geniuses, where it defeated Virtus.pro in the rematch to secure the championship. Team Secret will take home $350,000 of the $1 million prize pool, along with 4,950 Dota Pro Circuit points of the 15,000 up for grabs.